So I’m on vacation. I keep trying to do yarn crafts but the sand gets in the way. 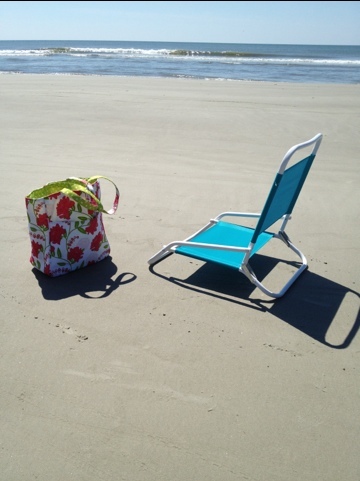 Here’s my craft bag next to my beach chair.